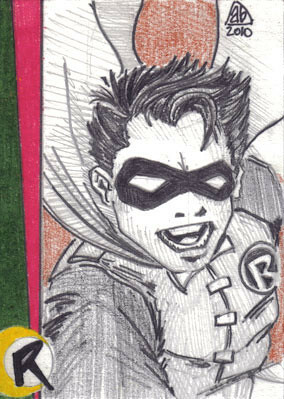 "Robin", originally uploaded by AndyBartlett. Artist trading card; pencil and prismacolor. May 5, 2010.